We provide both an interim service and a full service that cover all areas of essential maintenance so that you can enjoy trouble free motoring and lessen the chance of hidden costs further down the road. As with most mechanical parts these systems need regular checks and servicing. We offer a complete service to ensure your system is running cleanly and safely. Our fully licensed MOT test lane uses the latest equipment giving us the ability to test all makes and models of petrol and diesel cars. We can source, supply & fit a wide range of tyres. We can also carry out a laser four wheel alignment check using the latest equipment. MOT'S, Servicing, Repairs & Brakes Quality Service at Sensible Prices! 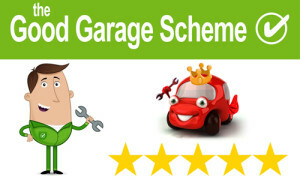 Hatt Service Centre Limited is an independent garage in Hatt serving Saltash, Callington and surrounding areas. We are dedicated to providing a complete service to our customers at a competitive price. We come highly recommended for our expertise and customer service. We also sell a range of quality used cars. Our online showroom is updated constantly with multiple photographs and in depth descriptions of our vehicles. We can cater for all your MOT, servicing and repair requirements. Our highly trained staff can provide help and assistance whatever your vehicle. Book your Service or MOT online with us, click here and fill out our simple form and we will get back to you to confirm your booking. To contact us with any sales enquiries, please call us on 01752 840 420. For service enquiries please call 01752 840 420.